Recommended torque for various connectors has changed slightly through the years, current standards often being slightly less than before. The recommended torque depends upon whether a connector is stainless steel or brass. The SMA recommended torques have the most variables, with stainless steel sma's for final installation being 8-10 in-lbs, preferably 8; stainless steel sma's in the test lab are best tested at 5 in-lbs to preserve the sma; & brass sma's are 4 in-lbs. Most of these torque wrenches are "ours" however we also carry the Huber Suhner sma torque wrenches, the 7zZ-0-0-21 & 74Z-0-0-79 as they're so popular. 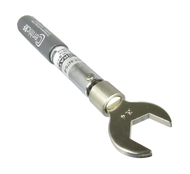 Our torque wrenches are preset to specific values. We outsource our NIST traceable calibrations to a local company, Accura. We highly recommend them. 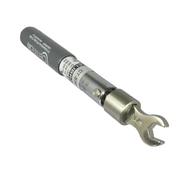 With some connectors "finger tight" works (standard n, standard tnc, etc) but even these connections benefit from the uniformity realized by using a coaxial torque wrench. 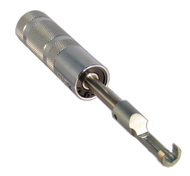 Please click on a subcategory from the drop down menu above to find the exact coaxial torque wrench you're looking for.